Add two more—be honest and keep your word—and you have a pretty good foundation for looking at most dilemmas you’re likely to face in your personal life. Profit: Make money; it’s an obligation to stakeholders, your family and yourself. Law: Comply with the laws and regulations to avoid penalties. Character: Have integrity and moral values. Keep your deeds aligned with your words. People: Respect others, care about people, and avoid doing harm. Communities: Help those in need, build strong communities, serve others. Planet: Respect and sustain nature, conserve natural resources. Greater Good: Focus on benefiting society and future generations. Make the world better. I know some of my readers will be surprised or even upset that Thornton puts profit at the top of her list, but it would be foolish to ignore or denigrate the profit motive. It’s a fact of life; companies that want to last need to make money to stay in operation and to meet their financial responsibilities to shareholders and employees. But profit is only one factor, as Thornton is the first to point out, and basing ethics solely or primarily on profit is a huge mistake. Indeed, Thornton doesn’t rank her seven lenses in importance and repeatedly stresses that they all need to be considered in concert. 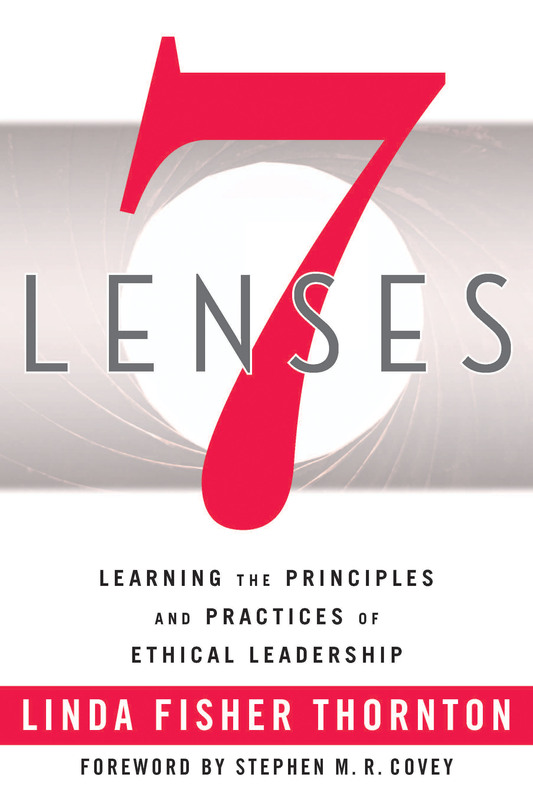 And Thornton provides plenty of thoughtful discussion that fleshes out her lenses and how to use them. It’s a very useful book and provides a constructive way of viewing problems. Rights: Does your planned approach best respect the rights of all who have a stake? Does this action respect the dignity of others? Are you treating others simply as a means to an end? Justice: Does this action treat people equally or proportionally? Does it give each person affected his or her due? Might you have some prejudice or interest that might makes you favor one person over another? Common Good: Does this action best serve the community as a whole, not just some members? Does the action give everyone an opportunity to thrive? How will my action affect the resources everyone must share, such as the environment? Virtue: Does this option lead you to act as the sort of person you want to be? What would a person you respect say about this choice? After scoring your plan under each option, you have to weigh them in importance. The tool then tells you whether your chosen plan meets your goals or needs to be reconsidered. I just discovered this tool a couple of weeks ago so I haven’t had much of an opportunity to use it, but I’m excited about it. More than any of the others, it asks probing questions that force you to think long and hard before you act. But it’s no panacea. In some test runs, I found it very hard to rate my proposed actions, and that’s really the rub with all models and guides for ethical behavior. You have to do the heavy lifting yourself. There are no shortcuts to good ethical action, at least not when the problems are complex and when a lot of people will be affected in different ways. You’re often left with choosing between competing ethical principles, and the key is evaluating priorities. Still, I’ll take all the help I can get. This entry was posted in Book Reviews, Insight and News and tagged books on ethics, Bruce Weinstein, business ethics, ethics, Linda Fisher Thornton, Markkula Center for Applied Ethics, practical ethics, The Ethics Guy by Mark Willen. Bookmark the permalink.